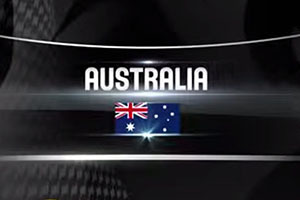 Home » Are The Aussies Heading To The NBA? Are The Aussies Heading To The NBA? While most NBA teams would probably have preferred for their players not to have been involved with the 2014 FIBA World Cup, now that the tournament is over, clubs can have a different slant on the tournament. The USA ran away with the tournament as expected, but there were a number of teams and players that stood out. In the battle to get out on top in your divisions, NBA teams are keen to find the best players and anyone that can excel on the FIBA World Cup stage is definitely worth a closer look. You probably don’t want to buy a player just on the back of a strong showing at a tournament, but if you can delve deeper into their background, it may be that their tournament showing was a continuation of strong form. Australia were one of the teams that caught the attention at the 2014 FIBA World Cup and it seems as though NBA scouts in Spain were watching the boomers. 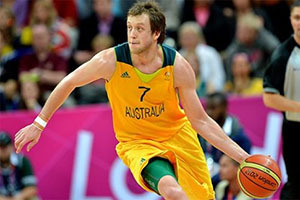 There is currently a number of rumours circulating around some of the top Australian players and it looks as though there is interest in Joe Ingles. Ingles is supposedly all set to sign for the Los Angeles Clippers after he put up a good showing in Spain. ESPN are claiming that a one year contract is a done deal for the player, giving him the chance to excite NBA fans after playing for Maccabi Tel Aviv. This means that Ingles played under new Cavs coach, David Blatt, who has also been linked with an interest in the player. There has also been talk that the 76ers were keen to hook up with the player, no doubt this link coming from the fact that Brett Brown had worked with the player at the 2012 Olympic Games. Another side linked with the player was the Memphis Grizzlies, who were hotly tipped to snap him up last summer, although Ingles eventually decided that another year in Europe would be best for him. Ingles managed to average 11.4 points for the Boomers at the World Cup and the Clippers will be looking for more of the same in the new season. One Australian player in the NBA that may have an interesting end to his summer is Aron Baynes. Baynes is supposed to be looking for a move to Europe but if an NBA team or two confirms their interest in the player, this may all change. There is talk that he may be traded out to the Charlotte Hornets. During the course of the tournament, Baynes averaged 16.8 points per games for the Australians, while also picking up an average of 7 rebounds per game. The player hasn’t always shined for the Spurs, and he had been looking for an escape route but it may be that his summer showing will see more teams looking to grab a hold of him. As a restricted free agent who wasn’t receiving any offers, Baynes has now found himself shoved under the spotlight, which can only be a good thing. The fact that the Spurs have a full roster means that it is likely he will make an exit but at the moment, his destination is not known. Given the fact that teams are still looking to strengthen their squad for the new season, there is no surprise that the FIBA World Cup has impacted on what teams decide to do. The strong showing of the Boomers means it is inevitable that their players are looked at by the NBA teams.